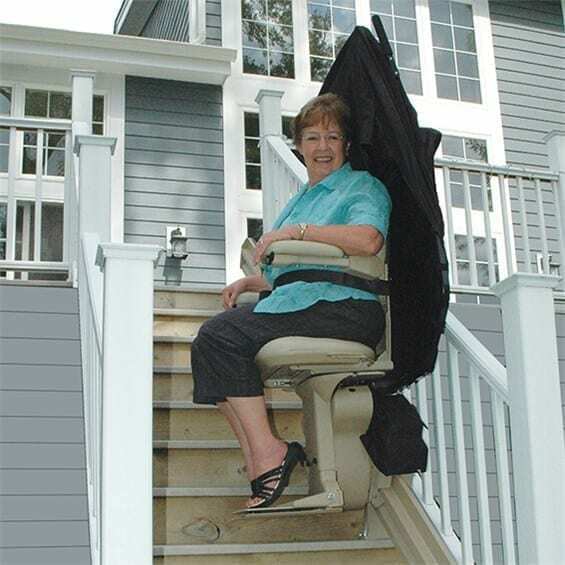 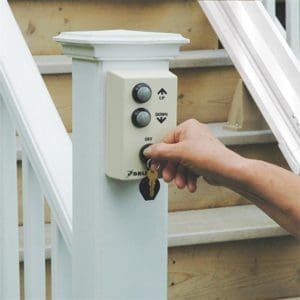 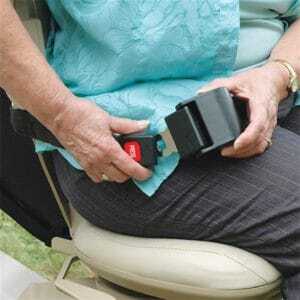 Whether you need help getting up porch stairs, going down to your pier or accessing your deck, a Bruno Elite Outdoor Straight stairlift helps get you there safely. 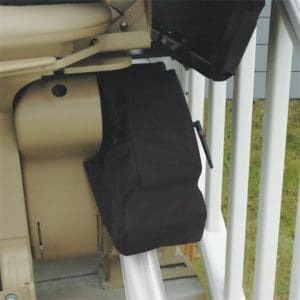 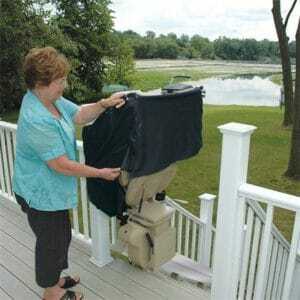 Bruno’s outdoor chairlift features marine-grade fabric and a weather-resistant cover that travels with the chair to protect it from the elements. 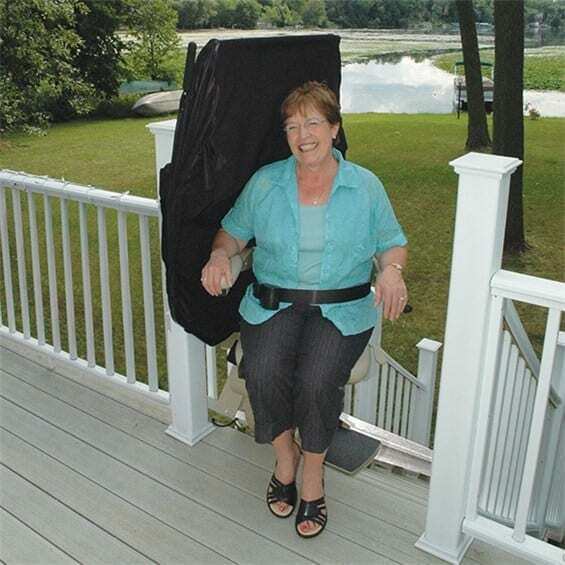 With easy-to-use operation, the Elite Outdoor Straight stair lift features a soft start and stop and smooth, stable ride along the way.